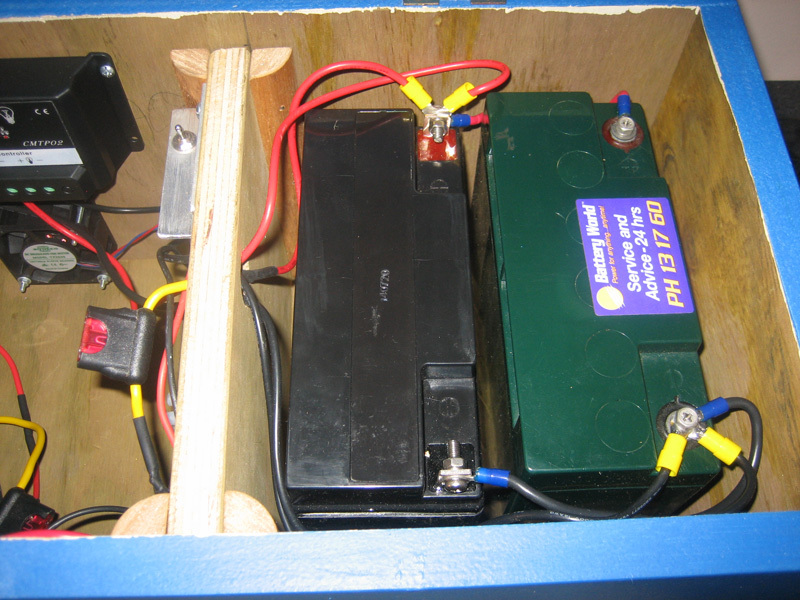 As an experiment I wanted to run the radio shack completely from battery which in turn is powered from solar. This is what I have ended up with, this supplies all my power requirements for the shack which consists of 3 HF radios, 1 UHF radio and 3 auto antenna tuners. I also have a mains power supply just in case however, I have not had a reason to use it since the solar power was connected. I have installed a 100 watt solar panel which comes through a CMTPO2 charge controller which in turn regulates the supply to two 20Ah Gel batteries connected in parallel. This supplies 12 volts at 40Ah, this has proven to be more than sufficient to supply all my shack requirements. 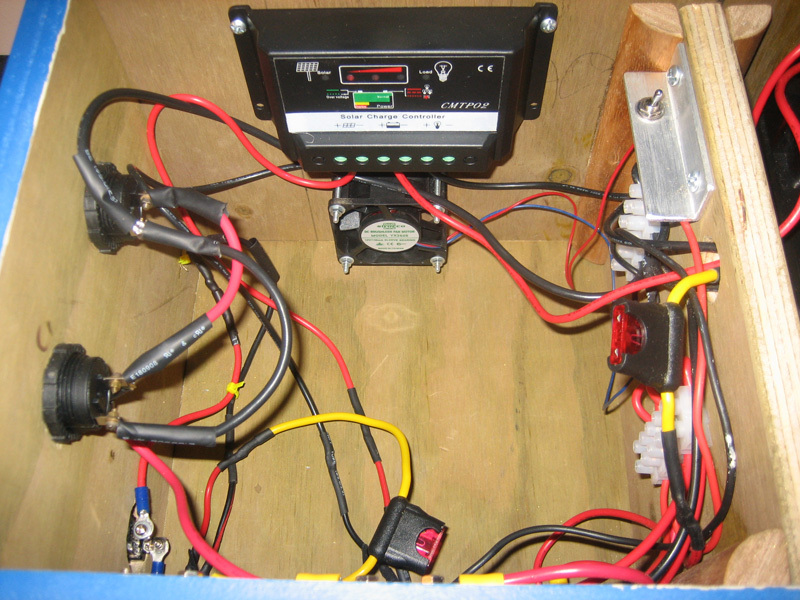 Box containing batteries, controller, gauges and wiring. 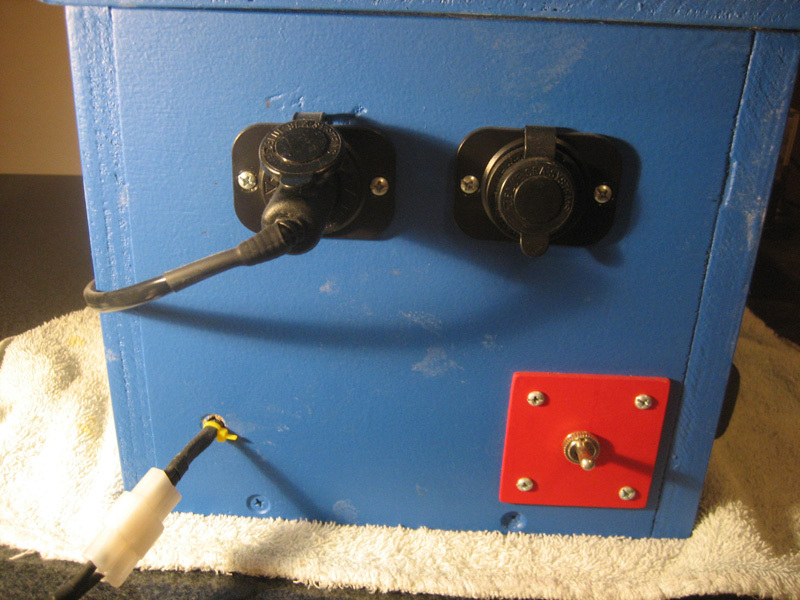 Solar controller, fan and wiring. Two 20Ah batteries connected in parallel. 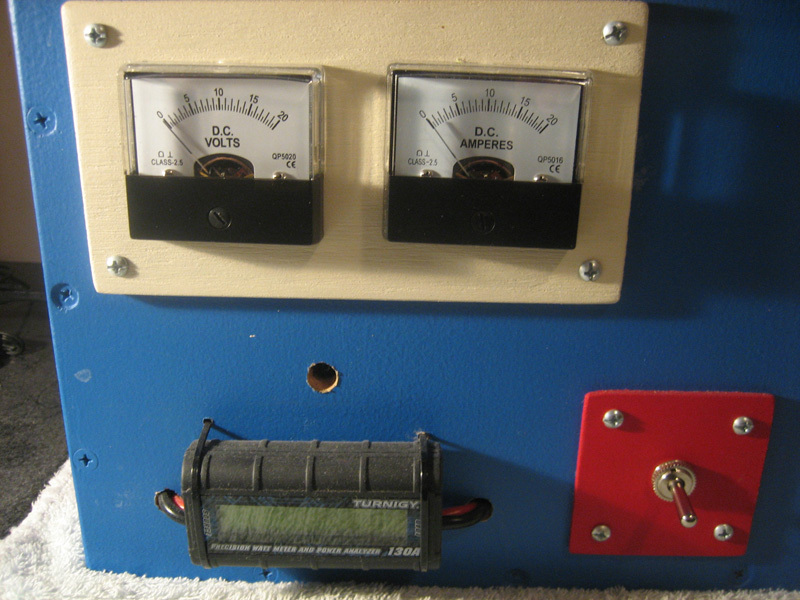 Volt meter, Amp meter, power monitor and on/off switch. 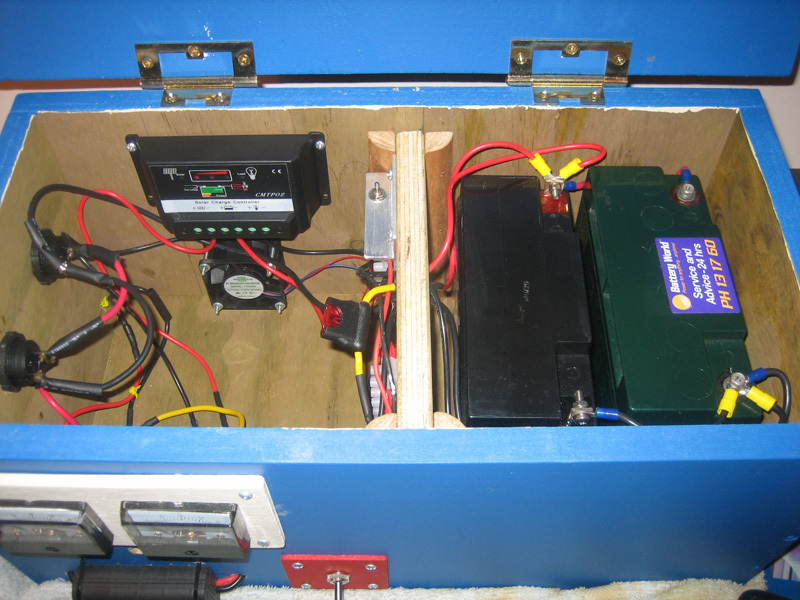 Bottom lead from solar panel, main power switch, top lead to HF gear and USB plug. As a first time experiment I am very please with the results, the design has proven to be very effective, although in the future it is my intention to improve on the housing but for now it is working well.